MIchael Corbett has performed on Broadway, he had a 5-year recurring role as David Kimble on The Young and the Restless, he’s guest starred on The King of Queens, Star Trek: The Next Generation, the Tyra Banks Shows and countless other prime time shows. Since 2000, Corbett has hosted real estate and lifestyle segments for the NBC entertainment news program EXTRA!, and won a 2014 Daytime Emmy Award for Outstanding Entertainment News Program as part of the show’s team. He is also the host and senior producer of EXTRA’s Mansions and Millionaires!, and the executive producer of Hollywood Medium with Tyler Henry on E!. He has also written 3 best-selling books on real estate. 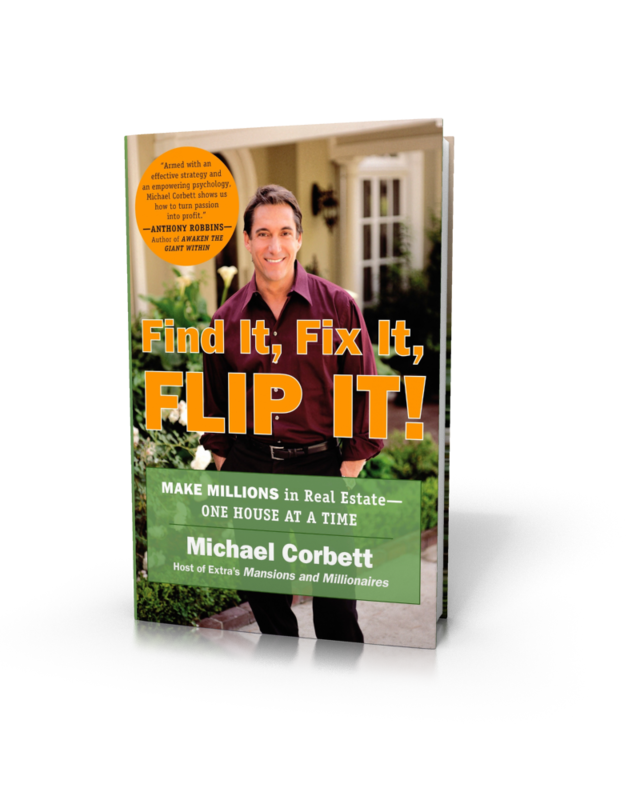 Emmy award-winning actor turned multi-million dollar real estate investor and best-selling author MIchael Corbett teaches the proven moves that you can use to successfully flip properties without get-rich-quick scams and schemes. Throughout Michael’s career he’s been performed on Broadway, The Young and the Restless, he’s guest starred on The King of Queens, Star Trek: The Next Generation, the Tyra Banks Shows and countless other prime time shows.